Jennifer from Sugar Spice & Glitter is back for her monthly feature! Last month she told us how to make Homemade Orange Cleaner and this month, well, it’s even better! You are going to Love it! Sometimes, the most important parts of a household are supposed to go unnoticed. 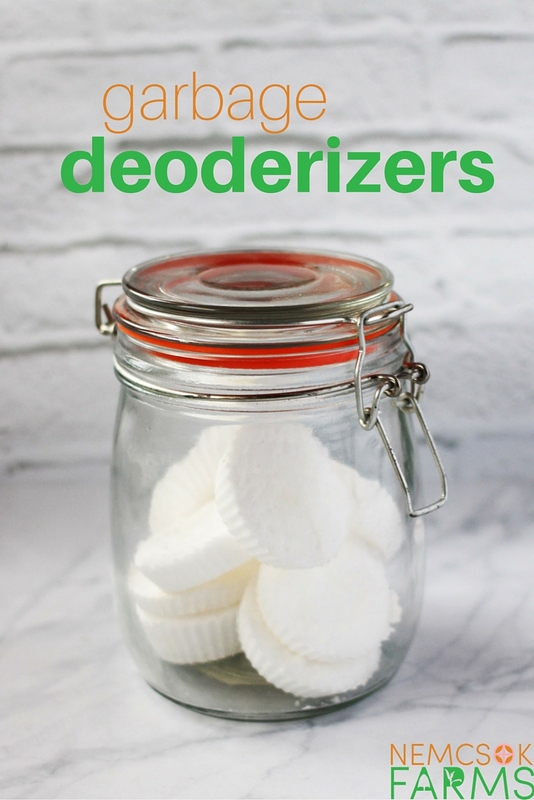 The garbage, while an essential part of any home, should definitely go unnoticed – so I’ve been playing around with creating garbage deodorizers that help neutralize and actually remove the smell of a stinky garbage! I run a home daycare and I also do a lot of cooking as a food blogger. The two combine to make a sometimes desperate garbage situation. I want people to walk into my home and not grimace at the smell! Previously, I’ve just been sprinkling baking soda into the bottom of the garbage can, which was fine but a bit messy to clean up every few garbage bags. 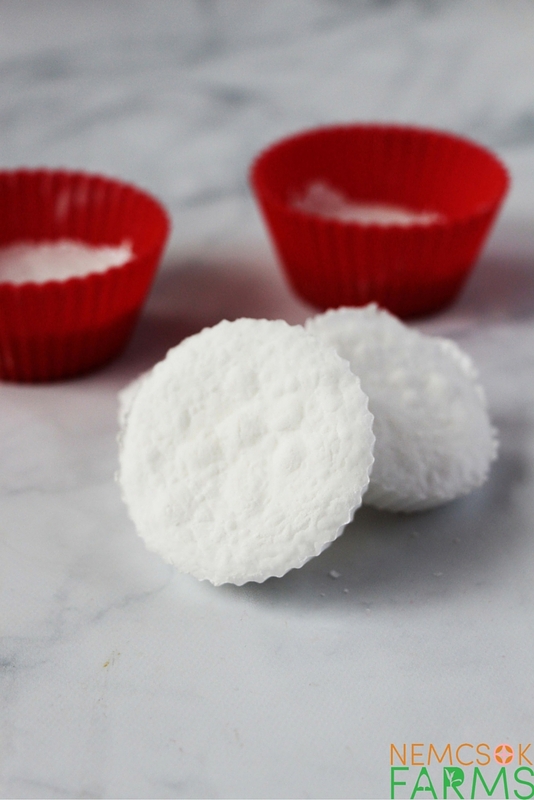 I decided to see if I could make an easy-to-remove version of my baking soda neutralizer, and came up with these fun puck-like deodorizers. You probably have everything you need to make these in your home already. 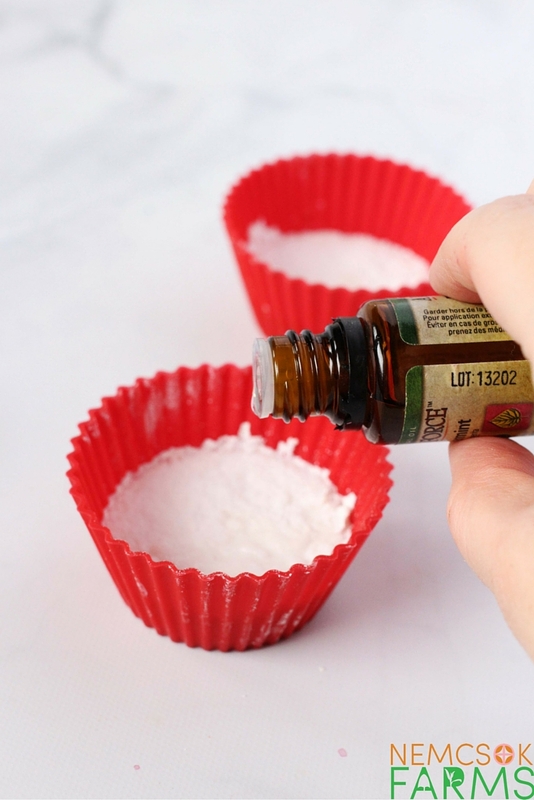 Simply mix 2 cups baking soda and 1/2 water, scoop Tablespoon-sized portions into muffin cups (I like using my reusable silicone muffin cups) and bake for 20 minutes at 350F, until solid. 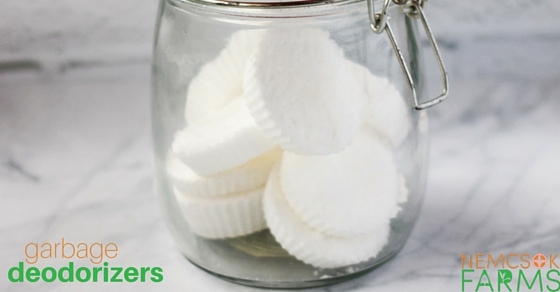 Remove from the oven and while the pucks are still warm, add a drop or two of your favourite essential oil – I used peppermint for it’s association with clean scents. 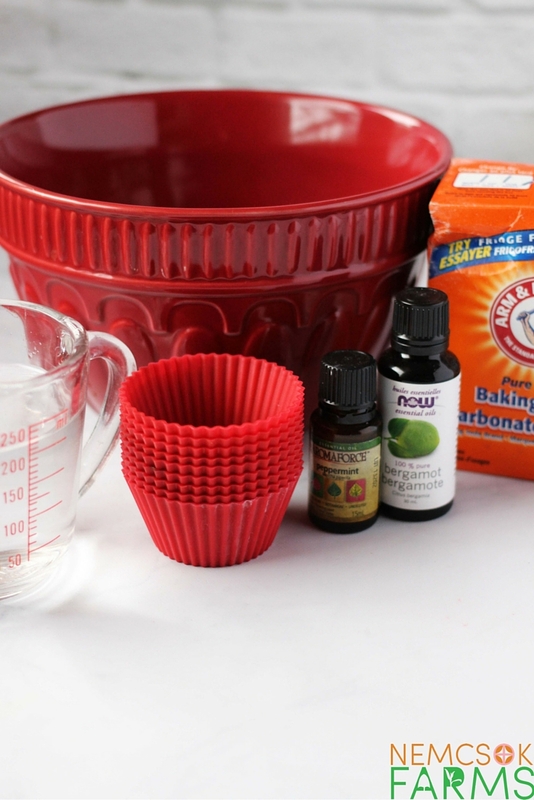 Be sure to add the essential oil after baking so that the scent doesn’t bake off. 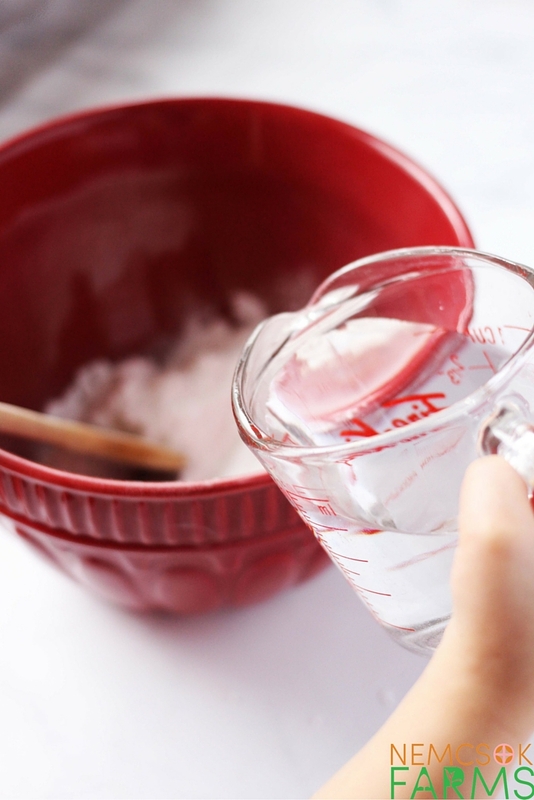 Remove from the silicone baking cups if you used those, and place in a storage container. So far, I have been using a single puck for almost two weeks and it’s still going strong. The puck will eventually diffuse away it’s nice peppermint scent, and absorb the smells of the garbage – that’s when you know it’s time to replace it. The life of your garbage deodorizers will really depend on what you’re throwing out. 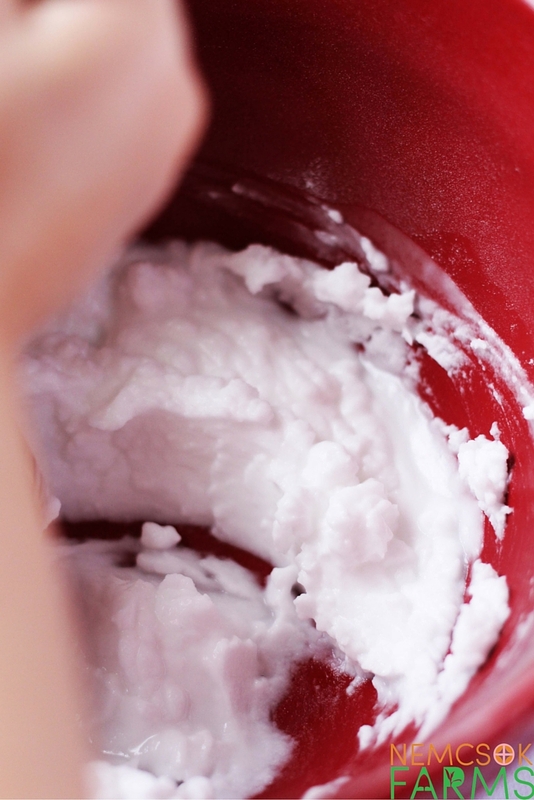 Do you make any household cleaners from scratch? 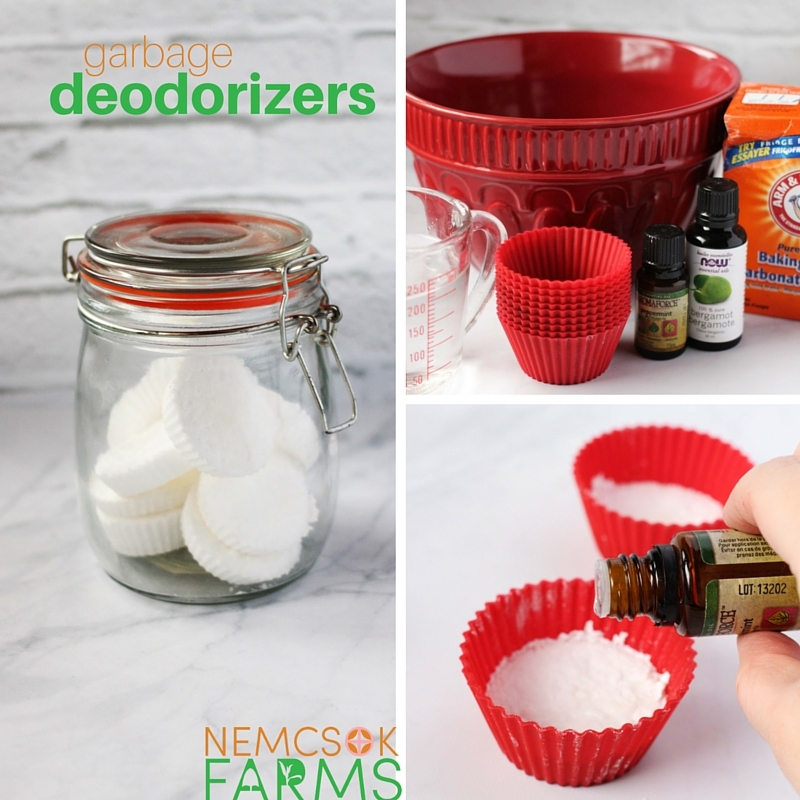 What scent would you add to your homemade garbage deodorizers? Like this post, you’ll love all the great ideas in Green Crafty & Creative and don’t forget to sign up for our newsletter!